A new and exciting era in Mormon studies has emerged from a confluence of factors: an academy more attuned to the significance of religion, the increased public prominence of Mormons and Mormonism, and an increasing number of scholars applying ever-more sophisticated methods to the study of Mormonism. 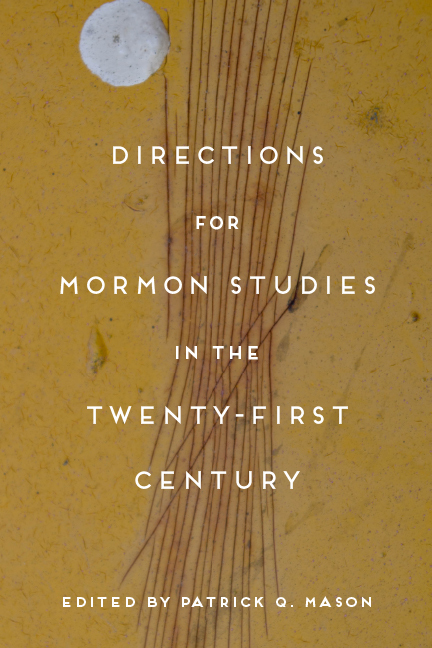 Directions for Mormon Studies in the Twenty-First Century captures this fruitful time by bringing together some of the most influential voices across the generations of Mormon studies. Neither a survey of the field nor a mere recapitulation of dominant themes, this volume charts out areas for exploration and modes of inquiry that reflect the maturation of the field and help set the agenda for the next generation of Mormon studies scholarship. In previously unpublished essays, the volume’s distinguished authors offer new insights on a number of essential themes: a (re)assessment of twentieth-century Mormonism; the dynamic interplay of Mormonism’s American roots with its international expansion and encounter with global diversity; the ways Mormonism has shaped and been shaped by modern theories and discourses of race; new modes of thinking about the individual Mormon subject; and reflections on theory and method in Mormon studies. These essays display Mormon studies in its emergent interdisciplinarity, with contributions from religious studies, history, economics, literary criticism, sociology, and anthropology. Simultaneously erudite and accessible, the collection will help readers ask new questions and discover new answers. Patrick Q. Mason is associate professor of religion, chair of the Religion Department, and Howard W. Hunter Chair of Mormon Studies at Claremont Graduate University. In addition to numerous articles, he is author of The Mormon Menace: Violence and Anti-Mormonism in the Postbellum South and coeditor of War and Peace in Our Time: Mormon Perspectives. Part II: American Church or World Religion?